We not sale ultrasonic horn alone, we produce it for our own equipment only. Ultrasonic welding has many advantages over traditional methods. For one, welding occurs at low temperatures relative to other methods. So, the manufacturer does not need to expend vast amounts of fuel or other energy to reach high temperatures. This makes the process cheaper. It's also faster and safer. The process occurs in fractions of a second to seconds. So, it can be done more quickly than other methods. In fact, it can bond plastics better and faster than glues. For example, the new smart keys in cars have a transponder chip in them. The car can only start when it senses the chip. To make the key, one end of the metal key blank and the chip get placed into one half of the plastic top. The other half gets placed over them and bonded to the base half. This bonding would usually be done with glue, which takes time to cure. The same task can be done with ultrasonic welding in less than a second. Frequently, an ultrasonic horn has a transitional section with a longitudinal cross-section profile that converges towards the output end. Thus, the horn’s longitudinal oscillation amplitude increases towards the output end, while the area of its transverse cross-section decreases. 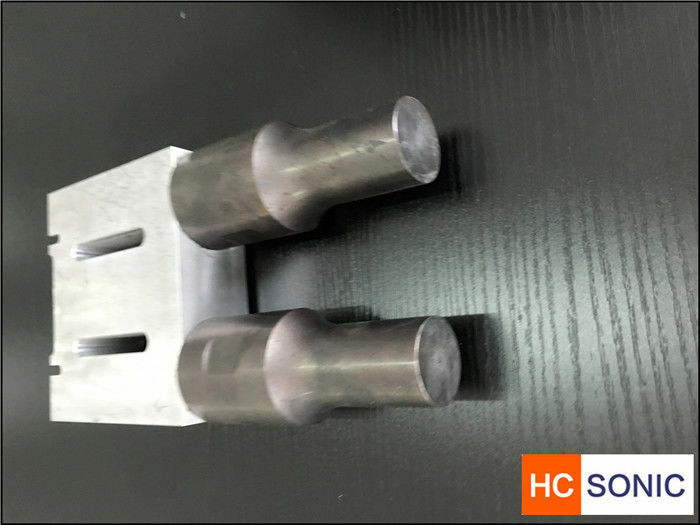 Ultrasonic horns of this type are used primarily as parts of various ultrasonic instruments for ultrasonic welding, ultrasonic soldering, cutting, making surgical tools, molten metal treatment, etc. Converging ultrasonic horns are also commonly included in laboratory liquid processors used for a variety of process studies, including sonochemical, emulsification, dispersing and many others. 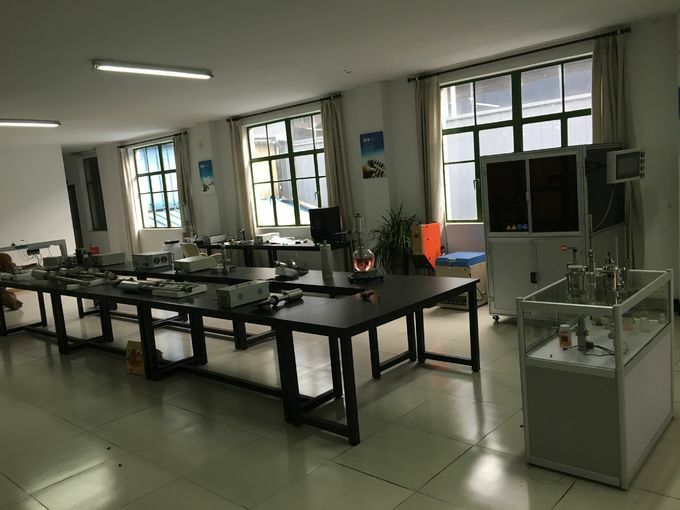 Ultrasonic Welding is a plastics welding process, in which two work pieces are bonded as a result of a pressure exerted to the welded parts combined with application of high frequency acoustic vibration (ultrasonic). Ultrasonic vibration transmitted by a metal tool (horn, sonotrode) causes oscillating flexing of the material and friction between the parts, which results in a closer contact between the two surfaces with simultaneous local heating of the contact area. The plastic melts in the contact area, the polymer molecules are cross-linked, forming a strong joint. Ultrasonic Welding cycle takes about 1 sec. The frequency of acoustic vibrations is in the range 20 to 70 kHz (commonly 20-40 kHz). The ampltude of the acoustic vibrations is about 0.002” (0.05 mm). Design by HC-SONIC and Professional analysis for different application.Horn design is not a simple process. Correct material must be selected, horns must be balanced, designed for the required amplitude, and be accurately tuned to a specific frequency. Incorrectly tuned horns can cause damage to the converter and/or power supply. Branson’s Tooling Engineers use Finite Element Analysis (FEA) to design and optimize horns, for proper tuning, stress level, amplitude level and uniformity. While the concept of ultrasonic welding is simple, the process of designing a robust joint and developing an effective weld process can be quite complex. 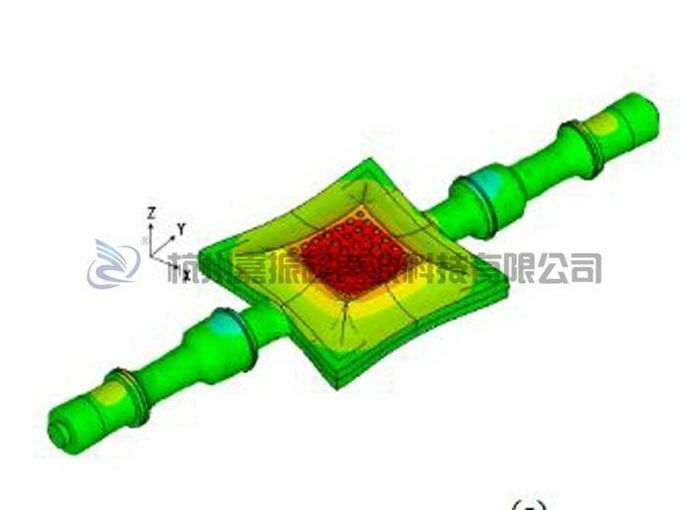 Typically, it starts with a nominal joint design, nest and horn design and the energy coupler gain to obtain the nominal vibration amplitude at the welded surfaces. Then the process iterates between adapting the geometry of the joint and optimizing the weld process parameters (energy coupler gain, energy and energy envelope, pressure, and duration). To create a good weld, the parts must make initial contact over a relatively small area compared to the finished weld area. This allows initiation of melting/softening soon after the ultrasonic vibration is applied.